December 29, 2010 by Laurie 10 Comments This post may contain affiliate links, which means if you click on a link and purchase something, I may earn a small commission (at no additional cost to you.) See my disclosure policy HERE. This is my favorite recipe ever for cinnamon rolls, and I figure I'd better make one more sweet treat before the New Year (and the New Year dieting . . . ) begins! I found this recipe in Guideposts magazine a few years ago, and they are simply delicious. Most packages of bread dough include 3-5 loaves, so you’ll get several batches of cinnamon rolls out of it. This would be a great treat to enjoy New Year’s Day! Roll up jelly-roll style, tightly pinching ends so sugar/cinnamon doesn’t fall out. This post is linked up to Living Well Spending Less Thrifty Thursday – thanks for the opportunity to link up! Recipe adapted from Guideposts Magazine. If you need a little more menu inspiration, check out the Recipe Index. Join Passionate Penny Pincher on Facebook to keep up with all the meals & deals. Wow, these sound super easy, alot easier then the last home made batch I made, Im going to try this this weekend. They really are delicious Sharon – I hope you like them! This is how I make my cinnamon rolls all the time, no need to make your own dough. Sometimes I put them together the night before and put them back in the fridge so I have them first thing in the morning. I let them rise on the stove for about an hour and then until the stove heats and ta-dah, everyone things you are awesome. Oh, and I make mine with brown sugar and maple frosting. Great idea to make them the night before – I’ll try that next time Elizabeth! 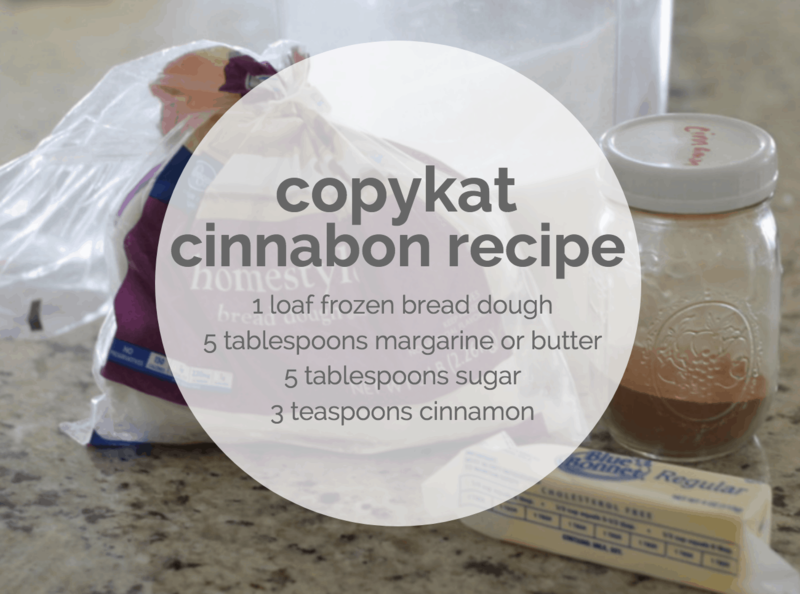 I never thought of using frozen dough bread to make buns but this looks pretty easy as well as delicious. Just had to say YUM! I used to make cinnamon rolls this way all the time.